It seems only fitting that we met with Bambuser co-founders Måns Adler and Jonas Vig in a restaurant in the heart of Tahrir Square, with a large window to our right looking out on the sit-in that continues to keep the square closed off to traffic. 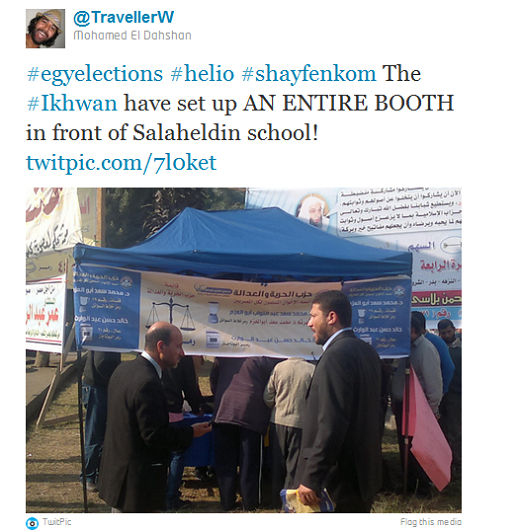 Arriving in Cairo a few days earlier, the Swedish pair were in Egypt to meet activists who have been using their service, Bambuser, during protests, as well as to monitor parliamentary elections. We spoke to the founders, in that perfect location, about the future of Bambuser, and how it has impacted the protests. Included on our list of must-have apps for any activist, Bambuser as a platform continues to grow, and is quickly approaching 1 million users worldwide; it has users in over 190 countries. With a team of just 13 people, 8 of whom are developers, Bambuser is available on over 10 platforms. Bambuser has come a long way since then, becoming an essential tool not only to disseminate information, but to act as a vanguard for justice. It has played a significant role in live broadcasting from the streets of Cairo, documenting everything from protests to the arrest of activists outside the Israeli embassy, and more recently, documenting crimes against humanity that continue to occur at an alarming rate in Syria. As Egyptians geared up for the first parliamentary elections since the fall of former president Hosny Mubarak, the Bambuser co-founders were planning for their trip to Egypt, to take part in workshops, training users how to use the service as an election monitoring tool. As their date of departure neared, Egypt was rocked by a new round of protests, met with the same violent reaction by Egypt’s police, leaving over 40 dead and thousands injured, but the pair were not deterred. From the beginning, Måns and Jonas envisioned Bambuser as a tool to be used by citizen journalists, as well as a tool to be used among friends and family. As protests began spreading throughout Egypt, activists like Ramy Raoof and Tarek Shalaby used the service to live-stream the protests to the world. Jonas and Måns were quick to contact Egyptian users through the service, and began to better understand what they could do to improve the service for activists on the ground. “One of the things we did at the time was set up a tab that collected all the videos of what’s going on,” Måns explained. In an effort to repeat the experience, activists including Ramy Raoof, Salma Said and the Cairo-based media centre Mosireen organized workshops to train people how to use the service. 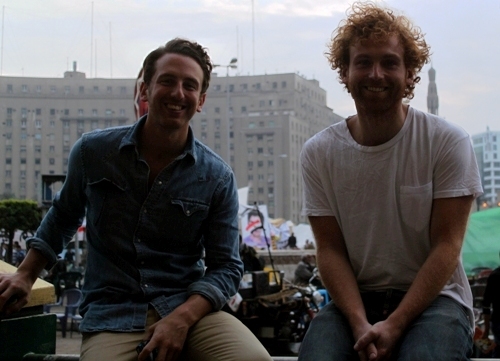 While things didn’t go entirely according to plan, due to ongoing protests, Jonas and Måns tweaked the system, and instead of conducting focused workshops, they spent all day sitting in an apartment overlooking Tahrir Square. Since January, Mosireen has been steadfastly documenting events in Egypt, and their YouTube channel has made it into the Top 5 channels in Egypt. But the team understands the importance and immediacy of a service like Bambuser. Bambuser has found itself persona non grata is a couple of Middle Eastern countries, first temporarily in Egypt, during the height of the protests, and more recently in Bahrain. Despite attempts by autocratic governments to block the service in the Middle East, Bambuser continues to be an essential tool used not only in Egypt, but has also seen a spike in activity in Syria, and now in the United Arab Emirates, where protests have not received any coverage from mainstream media. Social media has become a tool that mainstream media is finding hard to ignore, and in fact quotes and opinions are taken straight from Twitter, and make their way into stories as quotes. Bambuser can be used in exactly the same way, and with a little bit of cooperation, it can become an essential tool for citizens to get the story out, not only on the Internet, but into people’s living rooms by way of the 9 o’clock news. During the protests in Egypt, journalists were able to communicate with activists directly within Bambuser’s chat platform. “We also had a lot of international journalists who were typing in questions into the chat, asking them questions from their offices in New York or London.” Måns said. Not only were they able to get interviews on the spot from thousands of miles away, they were also able to take advantage of real-time translation offered by other users viewing the video. There are other opportunities for mainstream media to use Bambuser as a reliable and trusted source for media. As major news networks, like Al Jazeera, turn to social media as a tool, it is only natural that Bambuser is right there alongside Twitter, YouTube and other services, because of its verifiable nature. It’s obvious that Bambuser has been a labour of love for both Måns and Jonas, and they take their community and userbase very seriously, whether in Stockholm, Cairo or San Francisco. Their trip to Cairo has obviously been one that has left its mark.